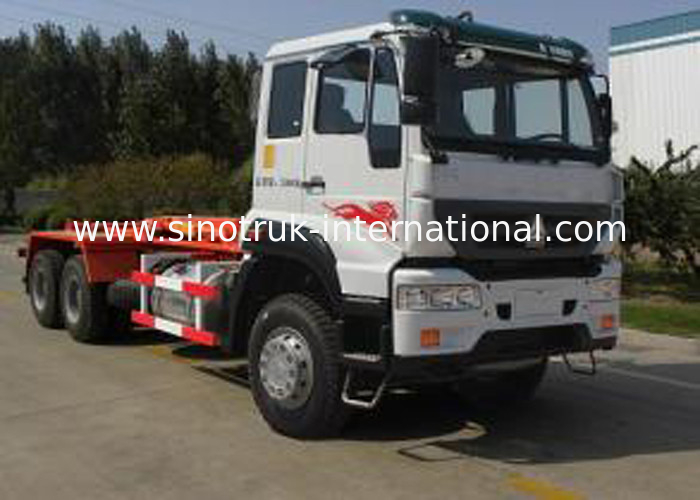 Carriage Removable Garbage Collection Truck, the full introduction of the German production of technology and design. 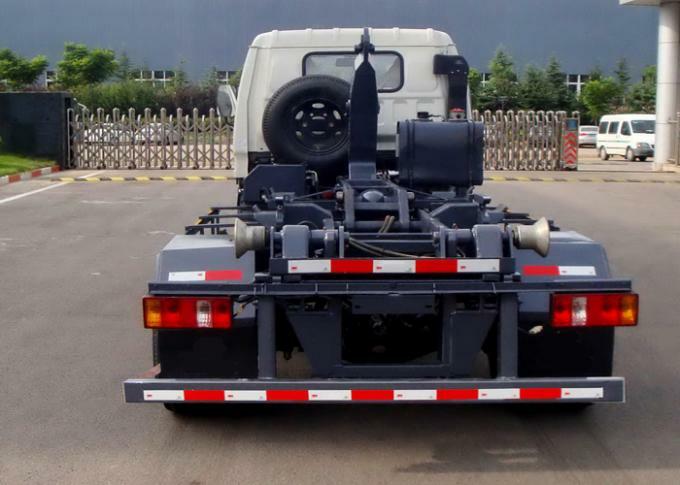 Using CNHTC truck chassis, the hydraulic system, electrical and electronic control system, lubrication system and the main parts are domestic and imported famous brand. Good in appearance and performance. This type of garbage truck is mainly used for municipal solid waste (MSW), commercial waste, and are used for non-toxic, non corrosive and non industrial radioactive waste collection and transportation. Can realize a main vehicle equipped with a plurality of garbage box, reduce the total cost of operation. Rapid completion of loading and unloading and automatic garbage compression cycle control. Use of lightweight container design, greatly reducing the weight of the vehicle itself. 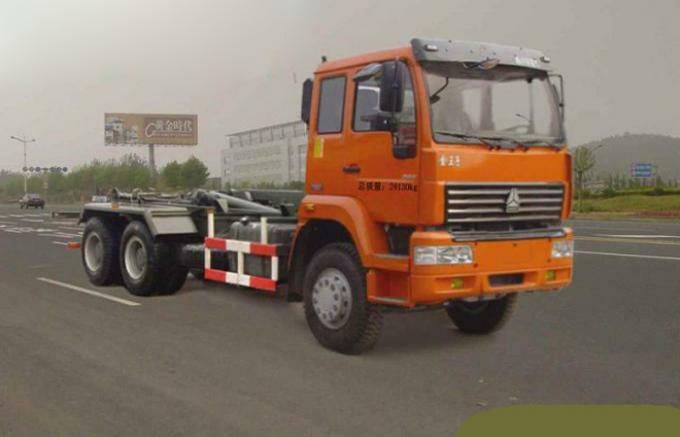 Vehicle bridge load-bearing by heavy truck 16 tons of bridge, a large tonnage, improves the carrying capacity. At the same time with compression of the cargo, by of garbage filling and compression, reduce the volume of garbage, so as to further enhance the rate of volume, improve work efficiency. The hydraulic system adopts the integrated design, which reduces the number of parts of the system, and improves the reliability of the system. non corrosive and non industrial radioactive waste collection and transportation.